And I shall make you into a great nation, and I shall bless you, and I shall make your name great, and you shall be a blessing." "And I shall make you into a great nation" - This refers to their statement, "God of Abraham." "And I shall bless you" - This refers to their statement, "God of Isaac." "And I shall make your name great" - This refers to their statement, "God of Jacob." You might think that the blessing would conclude with all of them, the verse therefore says, "and you shall be a blessing" - meaning, with you they shall conclude, and not with them. The word "G-d" is repeated for each [of the Patriarchs] because each was a pioneer and an original discoverer in the matter of coming close to G-d, in addition to continuing that which he received from his father. 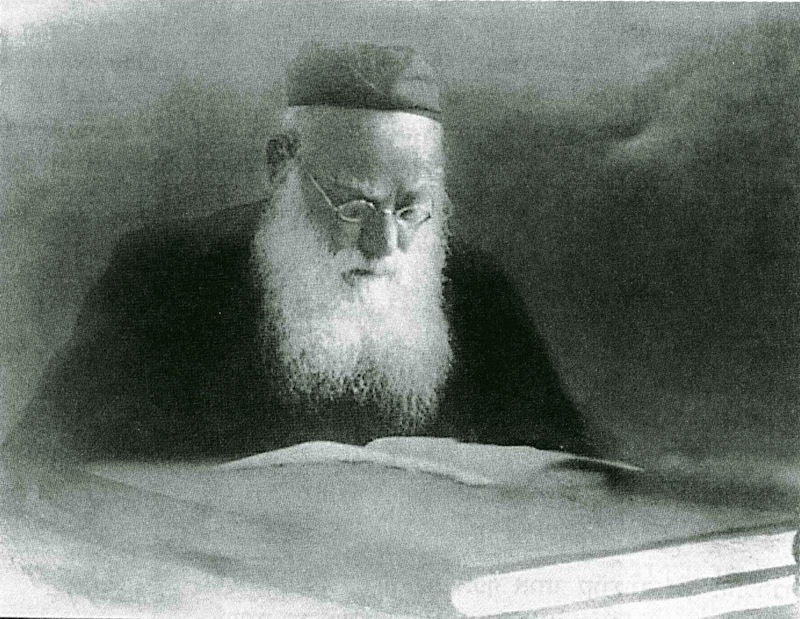 Rav Shimon Shkop (d.1940) discusses this idea (הובא בספר עץ הדעת עה"ת) that each of the Patriarchs took his father's teachings and developed it further, so that the teachings of Jacob represented a synthesis of the strengths of all three of the Patriarchs. Being that this is so, we would expect - as the Talmud says - that the blessing would conclude, as it begins, by naming all three of the Patriarchs. Yet this is not so; the blessing concludes only with Abraham. Rav Shkop sees this as an allusion to the history of the Jewish people. Abraham came to know God on his own, and he passed this knowledge down to his son Isaac and his grandson Jacob. Each of these, in turn, took this knowledge and developed his own unique relationship with God. This included coming to know God independently of the teachings they had received from their fathers. Thus, in one sense, the teachings of Isaac, and even more so, the teachings of Jacob, represent a higher, more developed form of faith than that of Abraham. We would, therefore, have expected that this more sophisticated form of faith would stay with the Jewish people for all time. Yet, explains Rav Shkop, the Sages are telling us that this is not what will happen. Rather, באחרית הימים - in the final generations before the redemption, many Jews will drift away from their ancestral faith, and when their descendants are aroused to return, they will no longer have the benefits of their tradition, and will be forced to start from the beginning, like Abraham. Therefore, Rav Shkop says, we should not despair when we see that many Jews have drifted away from Judaism. For the Sages already predicted that this would occur, and that the Jewish people would ultimately have to return to the "simpler" faith of Abraham. The opening blessing of the Amidah concludes with Abraham alone to signal to us that the ultimate conclusion of Jewish history will depend on a return to the most basic elements of our faith, the teachings of Abraham, who taught us how to recognize the Creator on our own, even without the benefit of our ancestral traditions.